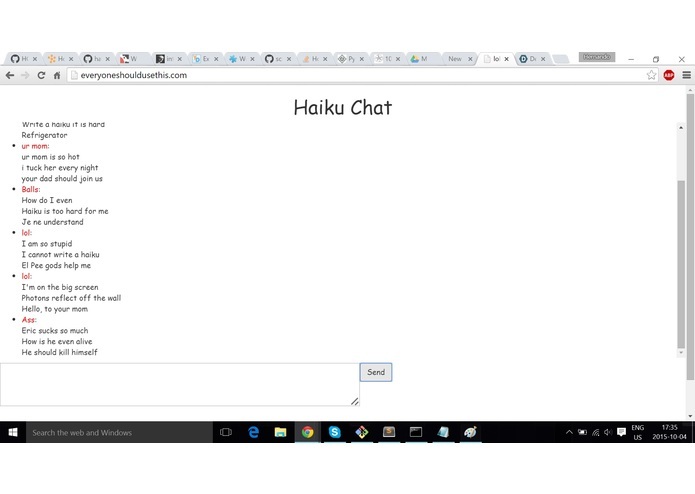 The perfect chat client for Haiku lovers everywhere! Haiku Chat: Bringing together Haiku lovers from far and wide! Haiku Chat was inspired after our team sat around for two hours trying to figure out what to make. Initially we wanted to use IBM's Watson's image recognition API to create Haiku's based on elements in an image. 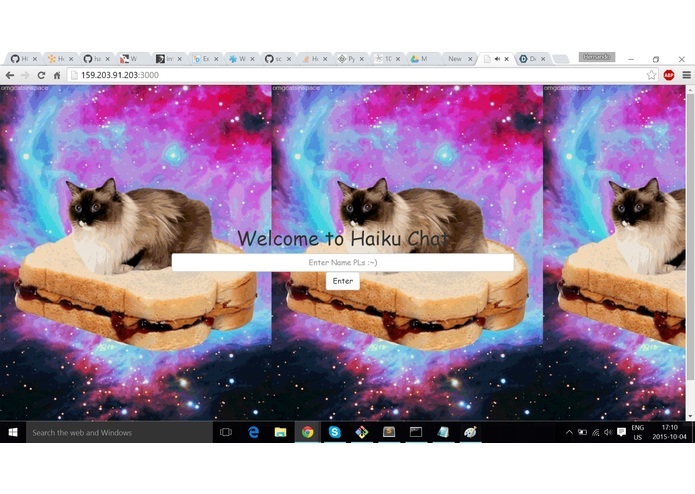 After a struggle with trying to create Haiku's out of nonsense (and trying to use crappy Bluemix) we settled on a chat client. Haiku Chat is a glorious place where Haiku lovers can come together and chat through what else, but Haiku's! All messages are tested for their "Haiku worthiness" before being sent. If they don't pass our rigorous Haiku verifying algorithm, a Haiku will be made on the user's behalf because they are obviously incompetent (5,7,5!!!!). The site also comes loaded with a variety of interesting sound effects, all for your chat pleasure.